NASDAQ listed Sify Technologies Ltd is one of India's oldest, largest and reputed Internet brands which has reinvented itself over the years to become a managed services provider, with a focus on cloud computing and e-learning. In the previous quarter, its flagship site Sify.com managed a turnaround and delivered an operating profit. Now, Sify is introducing learning management systems and launching mobile applications in India. 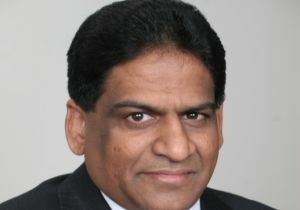 In conversation with Techcircle.in, Raju Vegesna, Chairman, Sify Technologies, elaborates on his global strategy for the company, acquisition opportunities, how Sify.com became profitable, his thoughts on the Indian technology growth story and more. Sify is transforming into an enterprise IT company from a backbone infrastructure provider - what is the long term goal? We are building Sify for the long term. Originally, it was servicing the domestic market but now we have enough assets and technology to aim not just for India but for the globe. On the infrastructure side - the datacentre, network expansion â€“ Sify is going to grow as India grows. On top of this, we will now focus on management and increasing our stack of services. What is the key focus of your investments for the year? On the infrastructure side, we will invest in expanding our networks. Currently we are in 650 cities in India and will be reaching another 100 cities by this fiscal. We have 3 data centres in Mumbai, Chennai and Bangalore and our latest one in Noida should be up by the second half of the year. We are looking to set up more data centres and are planning a Rs 100-200 crore investment per year in data centre expansion. We will also continue to increase know-how for managed services and add more manpower. What is your strategy to compete in the global arena? This year, we will aggressively chase markets such as the USA, Middle East, the UK and Singapore. We have two offices in the USA and have established offices in Dubai, Singapore and the UK. We have our own datacentres and skill sets and will use these bases to expose our skill sets in these locations and engage clients. Is Middle East strategically important for Sify? You recently partnered with Middle East's largest telecom carrier Saudi Telecom to provide ICT services. How will this help the company in the global scenario? Well, the order of importance is "the USA, M.E., the UK and Singapore. We are part of the Euro-India gateway cable system and also built a sub sea cable connecting Mumbai to the Middle East. But it's not just fibre that will reach these markets, our apps and services will also be offered. Are you looking at any acquisitions this year? Yes, we are looking at opportunities in the managed services space; there are interesting companies both in domestic and international geographies. We are specifically looking at application development and service firms or someone who is already providing services that will augment what we have. We have not set aside any amount as yet though. What is your take on India's technology sector? India, the way I see it, has a long way to go. IT is very small today and both enterprise IT and consumer IT is growing in India now. We have seen both sides of the story â€“ from within India and outside. If you look at Wal-Mart â€“ it runs entirely on IT. As we try to optimise productivity, technology will play a bigger role. Sify.com is profitable. Tell us how you made this turnaround happen. We used sophisticated tools to develop Sify.com that would reduce the cost of running it. Ads also helped. We have aggressive plans to take it to the next level. It will not be a me-too portal. Sify.com will have a differentiation. There is going to be a lot of excitement around Sify.com this year. We will focus on "smart expansion" â€“ growing while maintaining profitability. Do you plan to set up any more Internet businesses? No. There are opportunities, but we are into smart expansion. The way we look at it, Internet penetration in India is still low. How many cyber cafÃ©s have you added in the past two years? What are your plans for Sify iWay? I do not have the number of cafÃ©s we have added. Cyber cafÃ©s are no longer just a browsing play and have become tools of commerce â€“ paying bills online, booking tickets etc. We have also converted our chain of cyber cafes into an e-commerce tool. The role of IT is to inform and build and IT connectivity is no longer sufficient - we should also look at devices and content. This is what our focus will be on, going forward. It is important to us. If so, what can we expect from Sify in devices and content going forth? If you look at content offered by Yahoo and Google "they reach only 20 per cent of the population with their English content. We need to reach the rest of India and invest in content in regional languages that is also relevant. Our aim is to reach farmers and the 500-600 million people who cannot use the Internet right now because there is no content available for their use. At Sify, we are looking at devices and how we can support different languages and content on them. We need realistic, affordable technology. Does that mean you are looking at the mobile medium? What is your mobile strategy? Mobile apps are coming up. We are looking at banking applications on the mobile as a start. Are you going to hive off any businesses? No, we are not hiving off and will invest in all three engines - Enterprise; Consumer and Commercial â€“ which is targeted at SOHO and SMBs; and what we call 'Software Ltd' â€“ which is managed services and apps. India is a growth story and we will continue to expand. It's only a question of whom we partner with and how we balance our offerings. What are your plans for e-learning in India? E-learning is an important business for us and we are continuously growing it internationally. We are now bringing our learning management system to India and have conducted proof of concept with a couple of customers here.